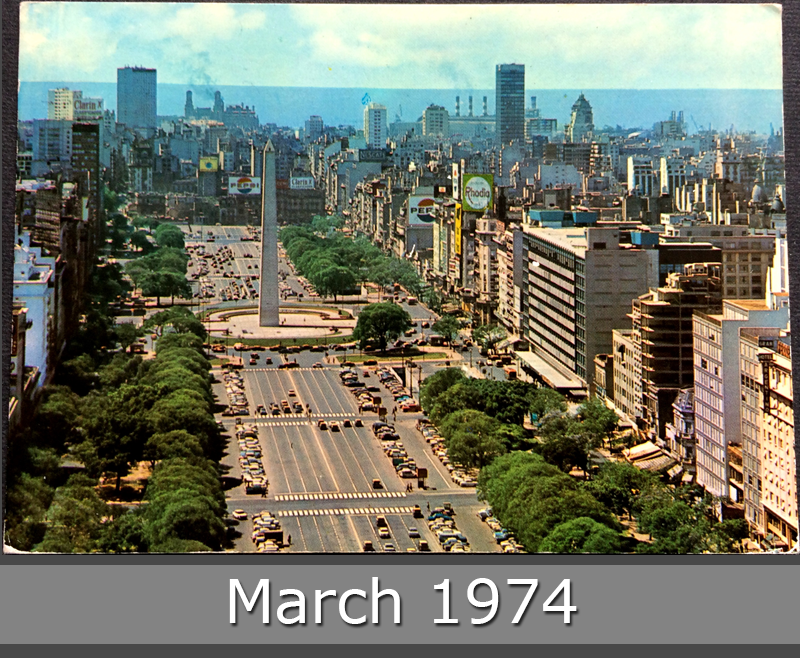 July 9 Avenue is a wide avenue located in the city of Buenos Aires, Argentina. Its name honors Argentina’s Independence Day, July 9, 1816. The avenue runs roughly 1 kilometre to the west of the Río de la Plata waterfront, from the Retiro district in the north to Constitución station in the south. The avenue has up to seven lanes in each direction and is flanked on either side by parallel streets of two lanes each. Through the centre of the avenue runs one of the city’s Metrobus corridors, which stretches 3 kilometres and was inaugurated in July 2013. 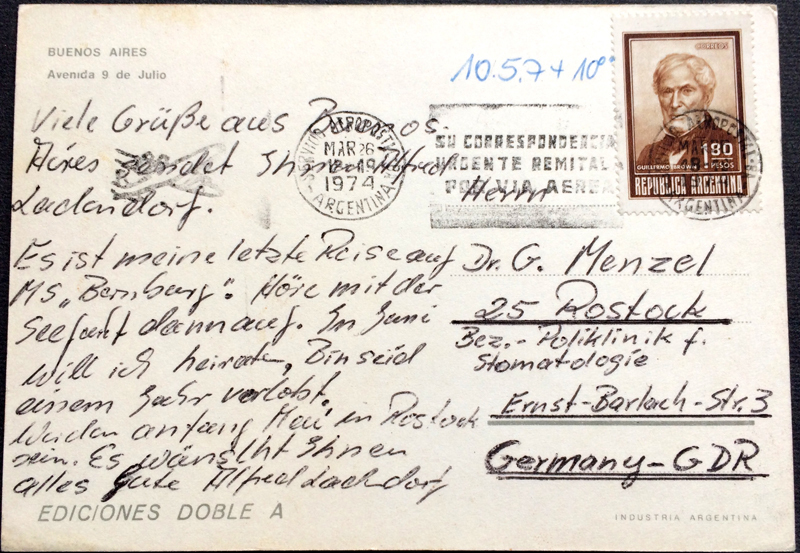 This postcard, March 1974, goes to Rostock, East-Germany.